NCSAM: Phishing - Don't Get Hooked! NCSAM: Ransomware is On the Rise! 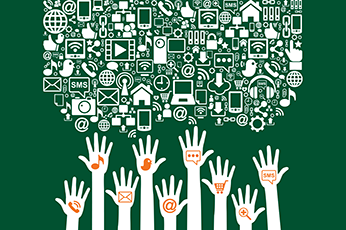 Social networking has become part of our everyday lives and it has changed the way we interact with others. While it’s a great way to stay connected, social networking tools and sites may leave a trail of personal information behind for thieves to target. With hundreds of millions of online users, that trail of information makes stealing your identity a whole lot easier. Use strong passwords: Use special characters, symbols, and phrases! Avoid using common passwords like names and birthdays. Be careful what you click: Clicking on ads and links puts you at risk for identity theft through malware. Malware is a growing problem on social networking sites. Avoid sharing personal information: Never share information like your date of birth, home address, account numbers, etc. Such information may aid in identity theft. Avoid revealing travel plans: Sharing your travel plans and location may alert burglars that your home is empty! Customize privacy options: Most social networking sites allow users control over what others can see. Limit what is visible by the public. Limit work history: Detailed work history makes it easier for criminals to fill out applications on your behalf. Verify connections: Be selective when responding to friend requests and connections, and verify that the person is who they say they are. Report suspicious users or activity: If something seems suspicious or dangerous, report it immediately! Remember HIPAA: Never share personal information of UM patients online. It is a violation of HIPAA and you will be subject to fines! Search for yourself: Periodically search for yourself to identify any inappropriate information that is being shared online. Social networking is a wonderful way to stay connected to our family, friends, and colleagues – as long as you share with care! 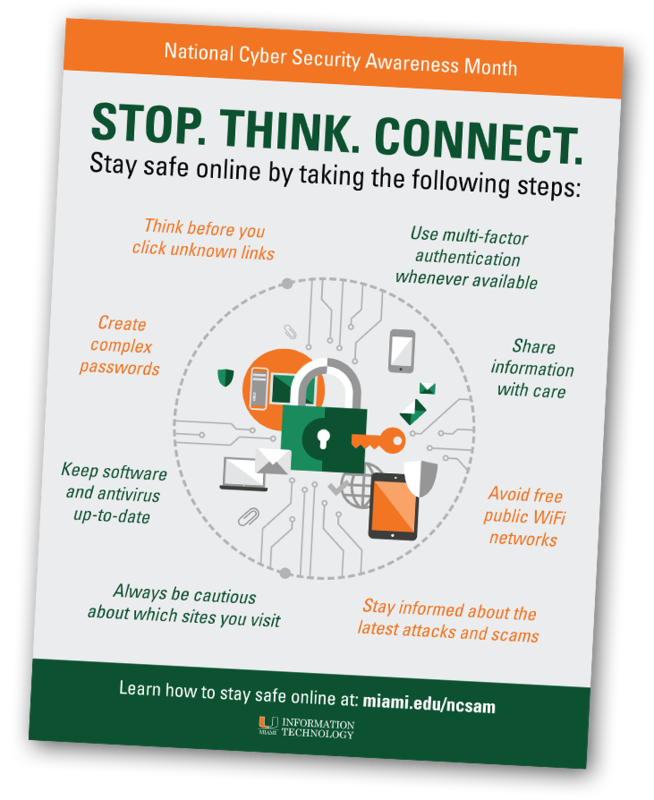 If you have any questions about cybersecurity or want to learn more about how to stay safe online, please contact University of Miami's Information Security Office (ISO) at: ciso@miami.edu. Feel free to print this poster and share it with your colleagues/peers!